Once you have finished your GP Specialty Training in the North of Scotland there are a number of post CCT options open to you. In Grampian we have the career start scheme which offers you the opportunity to spend part of your time in a GP practice and the other part of your time working in a hospital specialty to develop an area of special interest. NHS Education Scotland also funds a number of Fellowships including Medical Education, Remote and Rural and Health Inequality Fellowships. Dr Holly Tyson is currently a Remote and Rural Fellow based on Orkney. In the video above she describes some of her experiences during her time on Orkney. 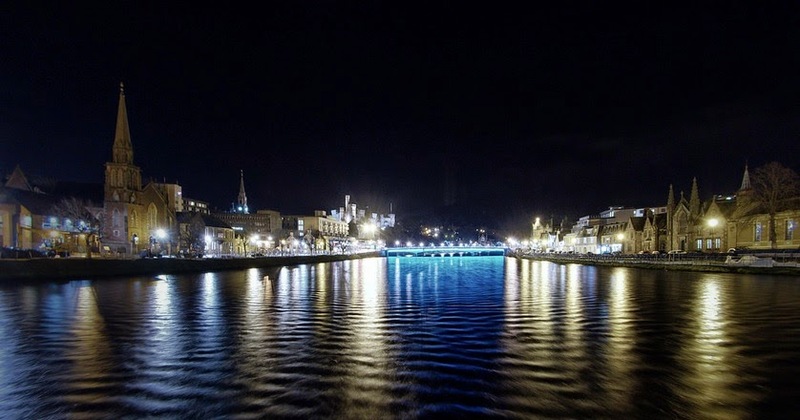 Inverness Is The Happiest Place In Scotland! Another good reason to come to Inverness on the Caledonian program! Inverness is the happiest place in Scotland and the second happiest in the UK, according to a survey published this week by a property website. Read more in this article on the BBC website. Aberdeen University Medical School has been ranked fifth in the UK in the latest Complete Universities Guide. This also ranks it as top medical school in Scotland. The tables are based on, entry standards, student feedback, research assessment and graduate prospects. Due to Orkney’s geography, General Practice has always been pretty self-sufficient; used to taking on extended roles within Primary Care, dealing with emergency presentations on the single-handed outer isles and taking on a broad spectrum of roles within the Balfour Hospital. We also have a strong tradition of GP training both within Primary Care and the hospital. I am currently doing a GPST rotation at Balfour Hospital, Orkney. When I was first advised that my 2nd GPST rotation would be in Orkney, I was devastated. The main reason for this was that I had to leave my family in Aberdeen. I have two young children and it is difficult to move with whole family only for six months. I really considered leaving the GP training because I could not bear the thought of living apart from my family for six months. However, now I am in the 3rd month of my rotation and I am glad that I am here!!! I'm from Northern Ireland and studied in Queen's Belfast as well as doing my FY1 and FY2 in Northern Ireland. Most Irish seem to stay at home, with a small group heading to Australia for some reason (apparently it's particularly good for A&E and anaesthetics). I know of a few colleagues who went to the "mainland" UK by choice for a bit of a change, but most who go (in my year at least) seemed to have no other option. I got my second choice deanery for GP training, which I hadn't given much thought to when choosing, thinking Scotland sounded a bit better than England or Wales. I had no idea where "Caledonia" was when I was given my rotation. After spending about 9 months in the North of Scotland I've come to love it, and I don't think I'll be heading back home long term. It's just like home except there is better night life, better transport links, more mountains, more beaches, more forests, more castles (like 100 times more), and not a single person here as asked me what religion I belong to, or used those really obvious probing questions to try to find out. It's so refreshing to have found such a nice part of the world where I can feel comfortable, and it's just a quick flight home if needs be.